In the past, the main purpose of a Reverse Mortgage was to help seniors to fulfill cash needs by allowing them to pull the equity in their homes. But today, many seniors are finding that even if they don’t particularly need to fulfill a cash need, they can take advantage of the benefits of a reverse mortgage as a tool to use strategically in retirement planning. Here are 8 ways a reverse mortgage be used as a financial planning tool. Some seniors may financially need to use payouts from Social Security and pensions as soon as they are available. However, with the tax-free cash from your reverse mortgage, you will be financially sound enough to wait on receiving those payouts, thus increasing how much you receive. Income from a reverse mortgage is tax-free! This cannot be said for many other types of income you may earn. So it is a great advantage to be able to use your home’s equity as income, without losing a cent of it to taxes. This idea follows the same formula as your Social Security and Pension payouts. The longer you can delay in receiving your benefits, the longer they have to grow. With a reverse mortgage, you can afford to wait. Every month, a monthly mortgage payment takes a chunk out from your income. But with a reverse mortgage, your existing mortgage is paid off. This leaves you with extra money in your pocket that would have normally gone to paying your existing mortgage. With a reverse mortgage, you have an ever-growing line of credit available to you. It grows with time. This means that the line of credit available to you years from now will be much larger than the line of credit available to you now… and, unlike a bank HELOC, is non-cancelable. In a down market, your portfolio and cash flow may not be at its peak performance. Many Retirement Planners recommend two buckets 1) Retirement Asset Funds and 2) Reserve Cash account to use when market conditions depress earnings; these planners are now recommending a SRM as a third bucket in the event of extended market lags (or a 2nd bucket where no cash reserves exist). With two (or three) retirement buckets, a reverse mortgage acts as the buffer, the incoming funds are able to protect you until the market picks back up again, and then the Standby Reverse Mortgage can be replenished… extending retirement funds longer. With a reverse mortgage, you are able to choose the option of receiving your funds in annuity-style payments. These can supplement your existing income This is perfect for some types of people who would rather plan their income as a steady flow. Some people have less cash in reserve than they would like. A reverse mortgage gives you the chance to catch up and replace your cash reserves, getting you up to speed financially, and these reserves grow over time.. These are just a few examples of how you can use a reverse mortgage as a strategic tool. 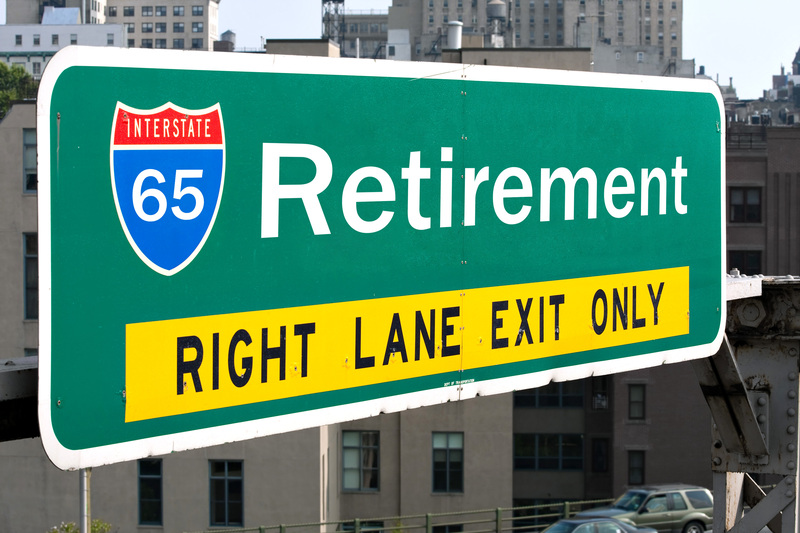 With the right plan in place, you will be well on your way to a solid retirement. A state and federal initiative launched in 2012 has resulted in a report to lawmakers on long term care financing including the use of reverse mortgages to help Americans fund longevity. The Own Your Future initiative in Minnesota was launched in 2012 to make recommendations to state and federal lawmakers on paying for long term care. Between 2005 and 2009, 26 states each sponsored Own Your Future campaigns to educate their residents about long term care challenges and make them aware of options and planning methods. In Minnesota, the campaign was expanded to include an ongoing public awareness campaign throughout the state; efforts to make more affordable and suitable long-term care products available to Minnesota’s middle-income households; and evaluation of possible changes to Medical Assistance (MA) to better align with and encourage private payment for long-term care. 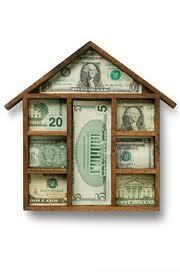 Among the recommendations developed by the state initiative: the use of reverse mortgages. An advisory panel has accepted the recommendations of the subcommittee with a separate set of recommendations having been sent to Congress. “The Lieutenant Governor [Prettner Solon] has assured us that now that the report is out, it’s not a report that sits on the shelf. Action will be taken,” says Beth Paterson, a Minnesota originator who was appointed by the state’s governor to serve as the reverse mortgage representative on the advisory panel. The report covers 11 recommendations, narrowed down from 16 that were considered, toward solving long term care funding problems for older Americans. Specific to the reverse mortgage market, the report indicates, are public perception challenges that are making it even more difficult for reverse mortgages to gain a place in the long-term care conversation. Advocates have developed action items for helping the perception around and access to reverse mortgages among Minnesotans. The financial planning community is warming up to reverse mortgages, with some advisors finding them to be “lifesavers” for some clients in tight circumstances, a Financial Times article suggests. As reverse mortgages overcome historically negative perceptions with the help of recent program changes and new consumer protections, Home Equity Conversion Mortgages (HECMs) have also begun to gain more recognition from financial advisors in mainstream retirement planning. Dana Anspach of Scottsdale, Arizona-based Sensible Money told Financial Times she recently recommended a reverse mortgage to a widow in her 80s whose home was paid off and was supplementing her Social Security with a home equity line of credit. “Anspach used a reverse mortgage to pay off the HELOC, wiping out $400 a month in interest payments and providing additional monthly income of $200,” the article notes. Other advisors are recognizing that the tax-free proceeds from reverse mortgages can allow clients to postpone Social Security usage as part of a “post-retirement tax saving strategy,” which can keep clients from withdrawing too much from IRA or 401(k) accounts. 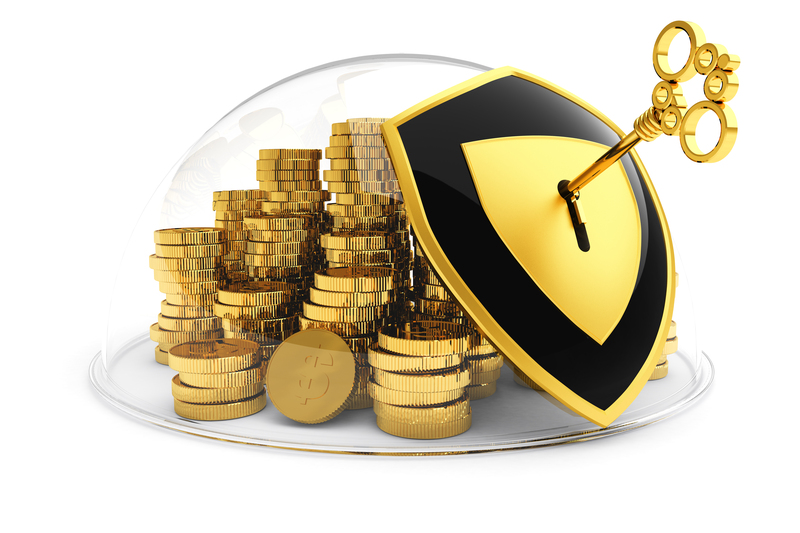 “The bottom line is that reverse mortgages are not longer only for retirees in dire straits. Advisors ‘should be looking at every aspect of income, including home equity,’” said CEO of Blue Ocean Global Wealth Marguerita Cheng in the article. Reverse mortgages aren’t just for people struggling to keep their homes anymore. The loans also can work for well-heeled retirees looking for a buffer to keep them from selling investments at the wrong time, according to academic researchers. And Congress last month gave a boost to the type of reverse mortgage that works best for that purpose. Reverse mortgages let homeowners who are at least 62 years old borrow against their home equity. The loans don’t have to be used for a specific purpose, but typically are used for home modifications, repairs, medical expenses or home care that elderly people might not otherwise be able to afford. The loan is due, with interest, when homeowners move out, sell the home, die or fail to pay property taxes or homeowner’s insurance premiums. The homeowner’s heirs typically sell the house, pay the balance and keep whatever is left. At least 595,000 households have an outstanding reverse-mortgage loan, according to the National Reverse Mortgage Lenders Association, a Washington industry group. Earlier this year, the HECM program was eyed by federal lawmakers as a financial risk to the FHA, and lawmakers considered curtailing the program. The bill, passed by Congress and signed by President Barack Obama, is intended to give the Department of Housing and Urban Development the leeway to make changes to keep the program going, probably after Oct. 1, says Peter Bell, chief executive of the lenders’ group. Getting a reverse mortgage takes some due diligence on the part of homeowners and their families. Big-name banks largely quit the business in the aftermath of the financial crisis, leaving smaller companies and independent brokers to make the loans. Some financial advisers have been accused by regulators of encouraging elderly homeowners to put their reverse-mortgage proceeds into questionable investments, such as annuities with steep penalties for cashing in. Your house could be a reliable credit line. If your home-equity line of credit gets canceled, a reverse mortgage might be a good substitute. The researchers used what they called a “standby” reverse-mortgage strategy, meaning the reverse-mortgage line of credit served as a source of readily available cash when retirees’ portfolio values dropped below the level where they could meet their goals. Using a portfolio worth $500,000 and a home value of $250,000, among other assumptions, the researchers found that using a reverse mortgage’s line of credit significantly improved the chances the portfolio would last through the retiree’s lifetime, because it reduced the risk of having to sell investments when they had fallen in value. Tapping home equity could lower tax bills. Some retirees pay off their mortgages with taxable withdrawals from their 401(k) or other accounts. Yet they might be able to lower their income taxes by using reverse mortgages to pay off their traditional mortgages, Mr. James says, if they have substantial equity. That means they wouldn’t need to withdraw as much tax-deferred retirement savings, which are subject to income tax and can bump retirees into higher tax brackets. Plus, without investment distributions needed to make mortgage payments, they might be able to keep their overall incomes under the income threshold at which Social Security retirement benefits are taxed, Mr. James says. He also is looking at using reverse mortgages as a “bridge” to Social Security, allowing retirees to delay taking Social Security and increase the size of their monthly payments—and those of a surviving spouse—down the road. Consult an expert. Before you start talking to lenders, consider getting advice from a reverse-mortgage counselor certified by HUD to learn more about the options and mechanics. The National Council on Aging and other nonprofit groups sometimes offer such counseling, often at reduced rates. Keep the kids in the loop. When Mr. James broaches the idea of a reverse mortgage with clients, “the first thing they do is wrinkle their nose,” he says. One big reason: Many parents want to leave their home, often their biggest asset, to their children as their inheritance. “Using a reverse mortgage allows for a little more diversification,” meaning retirees could leave other investments with potential for better returns to their families, Mr. James says. “My first answer, when people ask how to approach the kids, is to ask them if they have an extra room in their house for their parents,” Mr. Salter says. “RightSize” New Home with a Reverse Mortgage? According to recent National Association of Realtors figures, last year over 26% of homes were sold to homebuyers over the age of 50. And as the peak bulge of the boomer generation approaches retirement, the number of older homebuyers is expected to rise dramatically until it makes up the largest homebuyer cohort in American history. 1. Is your existing home safe for the long-term, including layout and accessibility to bedrooms, bathrooms, kitchen and laundry? 2. Is the home the right configuration? How about size? 3. Is the amount of yard and household maintenance appropriate? 4. Is the location still right, meaning are you close to family and friends? 5. Have traffic patterns gotten dangerous? 6. Are you close to doctors, shopping, amenities, recreation, and your house of worship? 7. Do you still know your neighbors? 8. Will this still be the right house in 10 years? How about in 15? If you answer a significant number of these “no,” moving might be a logical consideration. However, anyone who recently has applied for a home loan knows lending laws and regulations have become akin to major surgery. And for those looking to retire soon, or who have already retired, securing a loan can be very difficult. However, FHA’s seniors’-only HECM for Purchase was specifically designed with the retired – or soon to be retired – buyer in mind. While there are qualifications that must be met, they are not as stringent as those governing “forward” lending. A highly beneficial feature of HECM for Purchase is that you can buy your new home before you have sold your exit home. 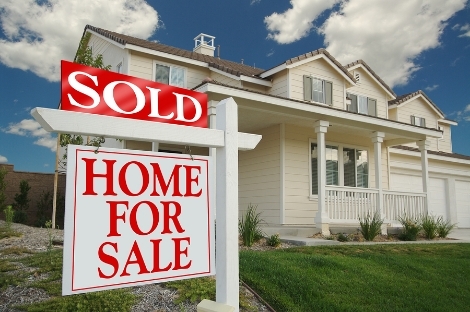 Not only does this get you into your new home in a timely fashion, but you now have time to market your exit home and wait for the next peak sales season to roll around before selling. 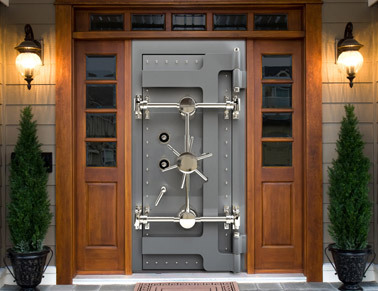 But perhaps best of all, rather than tying up a significant amount of your financial resources in the new house by doing an all-cash purchase, you bring to the table only a percentage of the purchase price, which allows you to keep liquid more of your savings, or more cash from the sale of your exit home. The biggest challenge is failing to plan for retirement at all, researchers say. Only a third of adults in their 50s have ever tried to devise a retirement plan…and only two-thirds of those who have tried have succeeded. 79% would give up 5% or more of their salary if it meant having reliable income to help them live comfortably during their later years (38% would give up 10% of their salary — or more). Though neither research report mentions reverse mortgage as a viable option for older adults once they reach retirement age, given the monetary concerns now facing those in late middle age or nearing retirement, this group appears to be a ripe market to consider the possibility, assuming someone owns a home with sufficient equity to qualify. Enjoying one’s job. While boss-bashing makes for humorous cartoons and water cooler conversation, people who love what they do need not retire just because they reach a certain age. Boomers, especially, are aging (and perceive aging) much differently than previous generations. A professional hair stylist, for example, is still booked months ahead because she takes time off to travel. At 67, she has no plans to retire anytime soon. Improved health. Contrary to popular belief, working longer may actually enhance later life health: one study of nearly half a million French workers found that every additional year of work before retirement lowered the risk of dementia 3.2 percent. Marital accord. Women have long maintained that once their husbands retire they’re underfoot all day and at loose ends, which can wreak havoc on a marriage. The longer at least one partner continues working, the better it may be for marital harmony. The extra income is a bonus. By balancing data on the necessity of planning for retirement with the positives about continuing to work, you can present a more informed picture to potential reverse mortgage prospects to help them make the best possible decision for a secure future in the age of longevity. • More Americans fear running out of money in retirement than fear death. With increasing life expectancy, it is easy to understand this fear. Increasingly, long-term retirement planning includes a reverse mortgage as a means to increase cash flow and address income shortfalls in retirement. Nearly one quarter of homeowners say long-term financial planning was their reason for originating their HECM. • Nearly half of homeowners considering a reverse mortgage are under age 70. • About two-thirds of HECM borrowers want to extinguish monthly mortgage payments to make more money available for daily needs. Another way of saying this is that most homeowners have a traditional mortgage – which is paid in full when they close on their reverse mortgage.